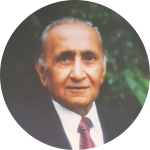 Westlands Sundries Ltd. was founded in 1971 by Sayed Mohamed. The first branch was situated in Westlands, at Old Uchumi House, and stocked with books (non-fiction, fiction, arts & crafts), magazines and toys. Three generations later, Westlands Sundries Ltd. has relocated and grown to include 2 branches, with a 3rd one launching soon. Between the lines, located in Village Market, is the flagship branch. It sports an enchanting look, with each section of the store representing a unique and extensive collection of various genres of books. From the latest comics to graphic novels, children's novels to fiction and much more – now available at the Village Market.